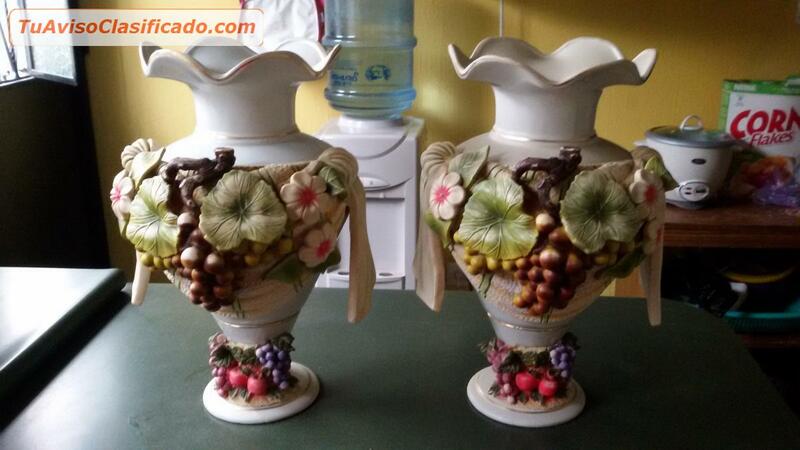 SON DOS HERMOSOS Y ELEGANTES JARRONES DE PORCELANA CON DECORACIONES EN RELIEVE DE FRUTAS Y VERDURAS QUE PUEDEN USARSE COMO FLOREROS. COMUNICARSE CON DOÑA MIRIAM AL 40890101 PARA MAYOR INFORMACION. PRECIO NEGOCIABLE,O AL E-MAIL pedroivan.rodriguezmaldonado@gmail.com.